Deep below our feet, a whole other land thrives. Nestled in the dark places of the Earth, a separate ocean, entirely cut off from the outside world, is teeming with life. 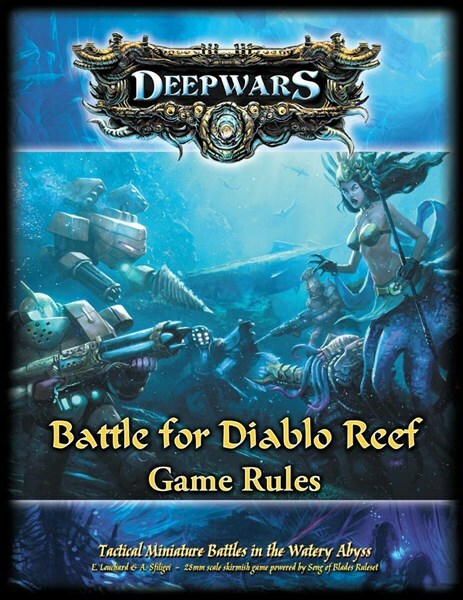 AntiMatter Games will bid you to explore these waters in ShadowSea and DeepWars, their two miniatures games. In July (get me a jury and show me how to say In July...), each game will be getting a new starter set. 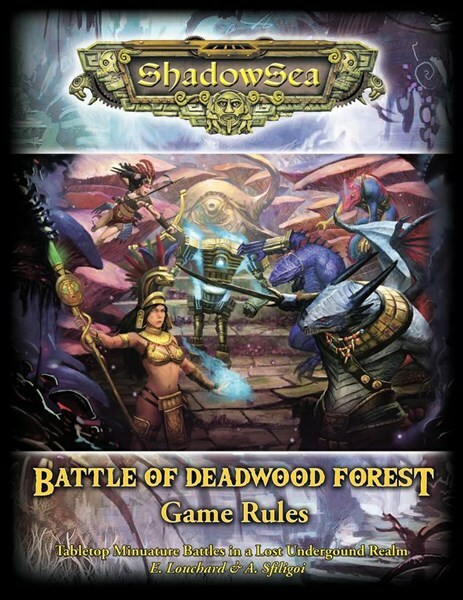 Coming soon for a July release, the two-player starter sets for DeepWars and ShadowSea. Here are the cover art for both of their rulebooks that will come in the sets. The books will include rules to play and a full 8-battle campaign. The sets include printed maps, miniatures and dice, so they will have everything needed to get started.